The easy way to find high quality horses for sale in Germany. 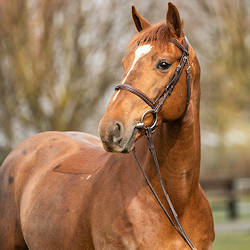 Selected horses for sale from best professional stables in Germany. with the Personal Tour Guide service. A new service from German Horse Center. are fundamental principles of the German Horse Center model. 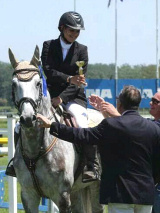 Austrian Federal Champion young horses. Ready for Medium class dressage tests, talent for higher levels. Also for less experienced riders. Above average basic gaits, very good riding qualities. Quality for championship events. Placed in young horse tests. Enjoys hacking out. Intern. placed up to 1.40 m. Ambitious, great overview and careful. 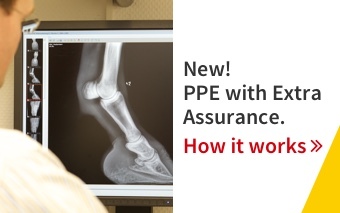 Potential for the professional show jumping sport. Reliable show jumper with experience up to 1.50 m, highly placed in 1.45 m. Perfect for children and junior riders. Talented, fresh sport horse with potential for the advanced class. 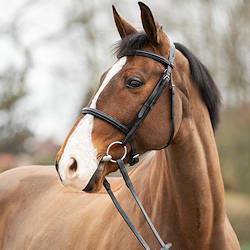 Ideal championship horse for up-and-coming riders, ready for 1.35 m.
Top amateur horse with an exemplary background. Well trained, a lot of competition experience. Winner in 1.30, placed in 1.35 m, ready for 1.40 m.
Perfect horse for up-and-coming riders or newcomers to advanced competitive show jumping. Several wins in 1.45 m, very easy with the right amount of caution. Promising young hunter with an excellent jumping style and an impeccable character. Ready for 1.10 m tests for young horses. Compact, ambitious mare for any competitive rider. Highly placed in 1.30 m, ready for the international Youngster Tour. Outstanding ribbon collector in international Grand Prixs and tests up to 1.50 m. A compact show jumper for juniors, amateurs or professional riders. Refined show jumper with quick reflexes, very careful at the jump. Experienced show jumper with potential for Grand Prix level. National and international placings up to 1.45 m.
Reliable horse with significant international placings up to 1.50 m. Placed at the Women’s German Championships. A Grand Prix show jumper for almost any rider. German Horse Center: Complete service for the purchasing of horses in Germany more than 30 renowned German stud farms and stables unite under germanhorsecenter.com to offer high quality horses for sale: dressage horses, show jumping horses, hunter jumper horses, equitation horses and eventing horses for sale. 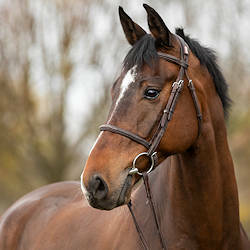 The full service concept of German Horse Center addresses prospective international purchasers, and covers everything from arranging travel plans for a Horse Tour and providing accompanying personal guides in Germany to the provision of impartial purchasing advice and handling of the actual purchase and subsequent transport. The entire portfolio of services is based on a concept of equine wellbeing as well as the principles of transparency and high quality service provision.